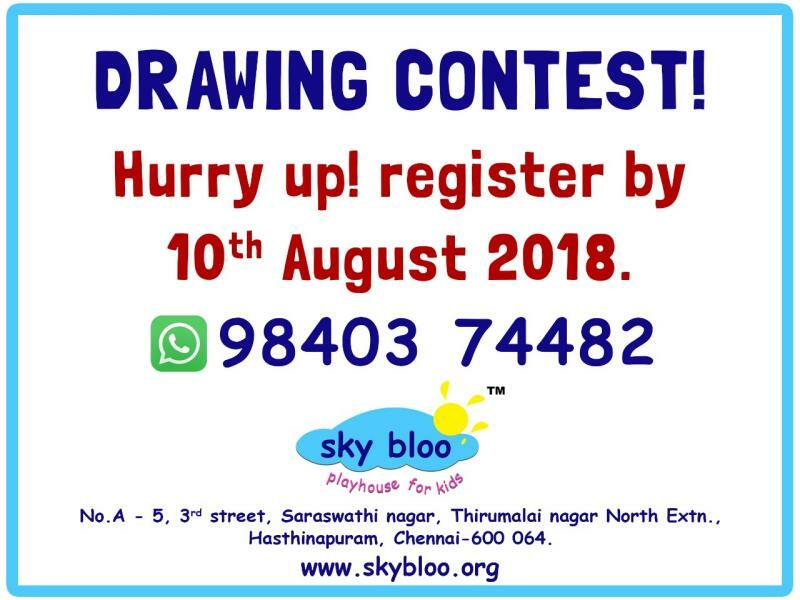 ‘sky bloo’ playhouse drawing contest at Thirumalai Nagar! Group I : L.K.G. to U.K.G.